The First Look is one of my favorite parts of a wedding day and is an option I always discuss with all of my wedding clients. Often times, you’ll hear photographers explain that planning a timeline that includes a First Look has logistical benefits to the wedding day flow. This is because since the couple sees one another prior to the ceremony, we will have a lot more time for their portraits. (And more portrait time always equates to more final images.) Also, because we will have completed the majority of your formal portraits prior to the ceremony, that means you’ll have the added benefit of getting to spend time with your guests during cocktail hour! In addition to the logistical advantage of the First Look, I also see the First Look as having an enormous emotional advantage for our couples. I approach photographing the First Look from a documentary-style perspective, meaning, I do not interfere once the moment begins. The emotion you see in the First Look images are raw and real. I absolutely love how you can feel the anticipation, the excitement, the butterflies each of my couples experiences during this moment. Additionally, because the First Look lasts for several minutes, you’ll have many emotion-packed images of this moment unfolding. 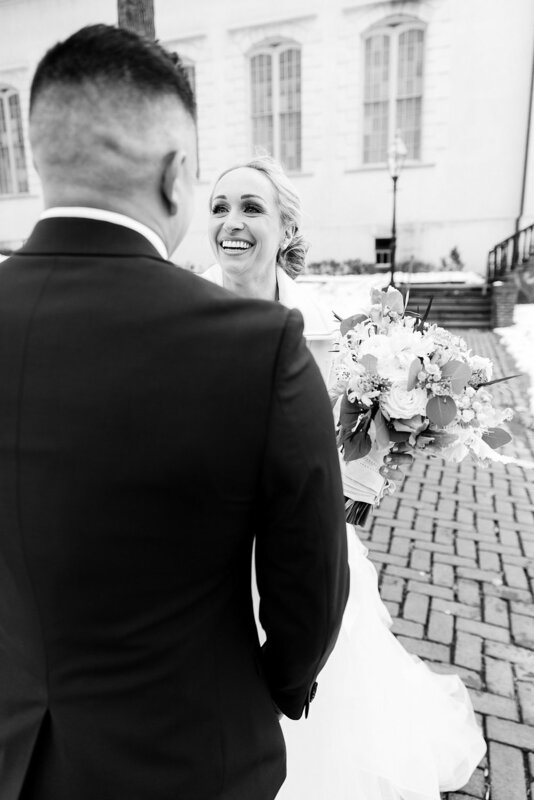 With a traditional timeline, you may only have one or two images of the moment the groom sees his bride coming down the aisle since this moment only lasts several seconds. Q: Why did you decide to do a wedding day first look? Q: Did you have any hesitations before deciding to have a first look? Q: Describe your experience. (Did you end up loving it or regretting it? Was it everything you hoped it would be? Q: How did you feel walking down the aisle after already seeing your significant other for the day? Q: Would you recommend a First Look to other couples who are planning their wedding day? Check out Hayden & Andy’s wedding blog here! 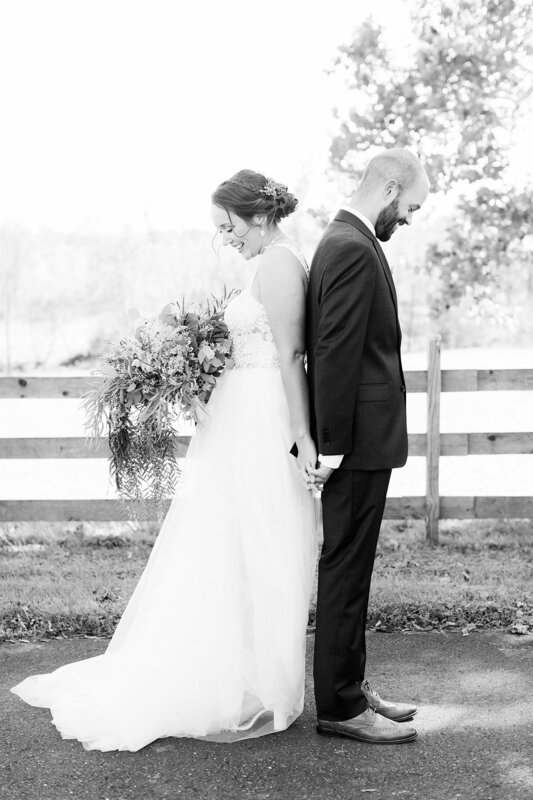 Check out Jonna & Dom’s wedding day blog here! A: To ease walking down the isle jitters! In retrospect, it’s a nice intimate touch for you to capture and have added variety to your wedding album. A: No! Only on where to have it. A: I loved it. I especially loved the location and all the details you captured. A: Ready to party! It helped ease the tension and redirect your focus to this whole moment happening around you. Alyssa is a Lehigh Valley wedding photographer dedicated to capturing your one-of-a-kind love story in a meaningful and lasting way. To set up a consultation regarding your upcoming Philadelphia or Lehigh Valley wedding, contact me here.